Posted August 27th, 2013 by a_russell & filed under Uncategorized. It’s that time of year again when store aisles are overflowing with school supplies and dorm essentials, and frantic parents are trying to check everything off their back-to-school shopping lists. Buy American. Outfit your kids (and buy a few things for yourself!) in the latest trends, while also supporting the American economy and keeping jobs in the USA. Shifting consumer spending by just $5 a day, could return our country’s unemployment back to normal levels. $5 a day – that’s a pack of pencils or a latte. But, that $5 can start a movement that transforms our nation. What if you amped it up to spending $10 a day on goods made in America? Wages will go up. Be part of this movement. 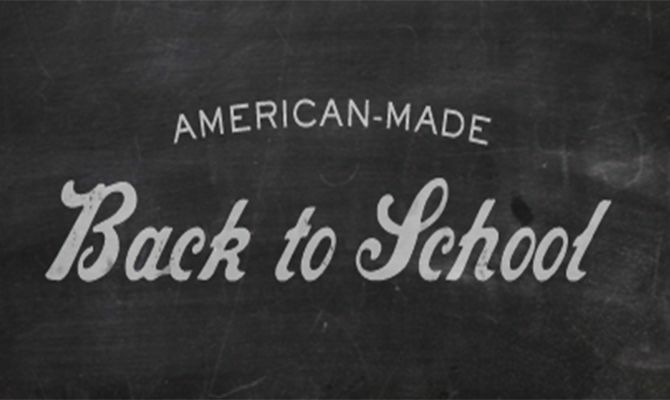 Make a few of the things on your back-to-school shopping list be made in America. 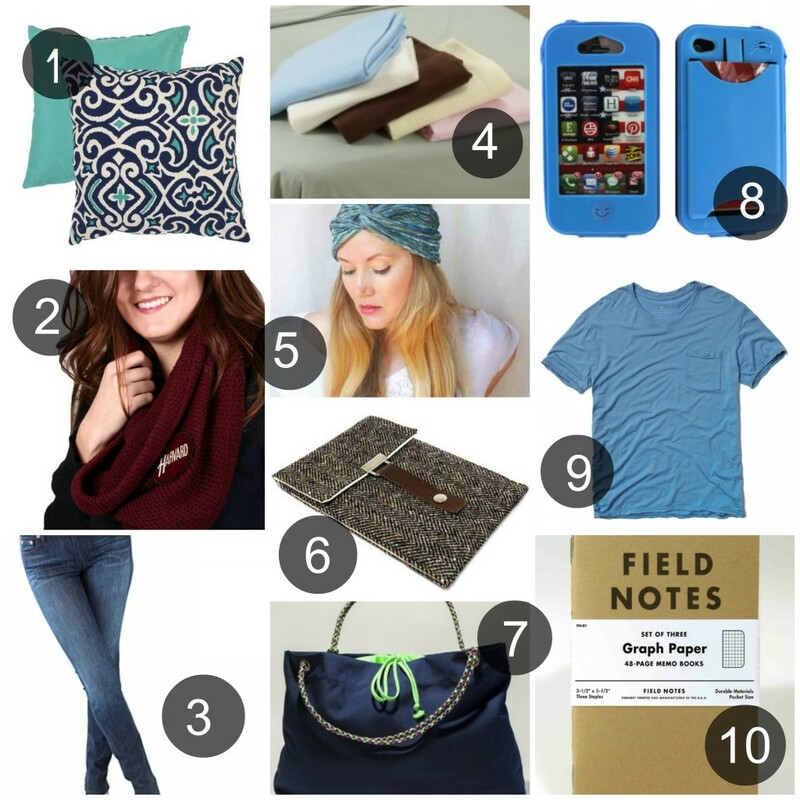 To start, we made a little shopping guide for the college students – all of these products are 100% made in the USA. In search for more? Check out our partners – Made in America Store and Made in America Movement – for lists of other online retailers selling made in America goods. Or simply check the labels of the products you stumble on in stores on your back-to-school shopping spree and only buy those that proudly declare – MADE IN AMERICA. Let’s show those who serve for our country that their sacrifices are important to us. Together, we can change the course of history (and get a few new back-to-school goodies for ourselves in the process! ).